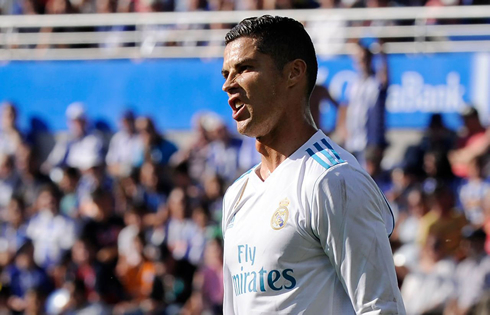 ﻿ Alavés 1-2 Real Madrid. The rookie Ceballos saves the day! 23.09.2017 » Alavés 1-2 Real Madrid. The rookie Dani Ceballos saves the day! 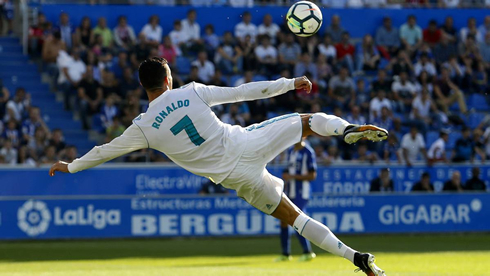 Real Madrid came off victorious from the Mendizorroza this Saturday afternoon, after beating Deportivo Alavés 2-1 and regaining the 4th spot in La Liga standings. The hero of the day was Dani Ceballos, the youngster who scored the brace that allowed the Merengues to collect the 3 points. 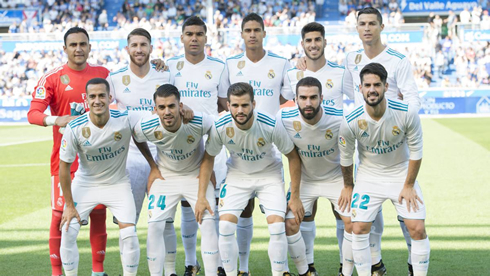 However, it was far easier said than done, the Basque outfit pushed Real Madrid to the limit and nearly escaped with a point as they hit the post a few times, one of them just a few minutes before the full time whistle. The first goal came from some excellent work down the left flank from Ronaldo and Asensio. Ronaldo's perfectly weighted through pass found the Spanish phenom on the wing, he cut the ball back to Ceballos in the middle and his determination allowed him to fire off a low hard shot into the corner of Dani Pacheco's goal. After Alavés' Manu Garcia scored a tremendous header just a few minutes before halftime, things looked a bit grim, but Ceballos was again on the spot to bury home a mishap in the box after Pacheco's punch landed right at his feet. 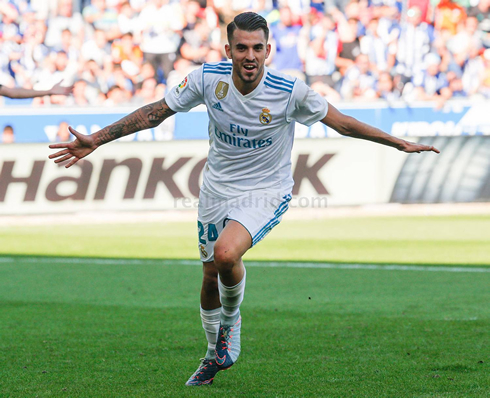 Ceballos was the standout player for Madrid today, making the most of his chances to play in the absence of both Toni Kroos and Mateo Kovacic. With the injury bug hitting Madrid so hard, his inclusion in the lineup is going to be more crucial than ever at times. Isco had a good game as well, a battling performance in midfield, however, some of his older habits are beginning to arise. He's been holding the ball a bit too long recently and his final pass has been a bit off. But he's still making a massive impact on the field. Asensio, on the other hand, seems to have tapered down a bit. As for Cristiano Ronaldo, it was a frustrating game. He had his chances and did well even hitting the post twice, but he's still struggling to find the net, it seems his reintroduction to La Liga has been a bit more difficult than anticipated. There were a few times he was visibly frustrated at not receiving the ball and without Marcelo and Benzema in the lineup, he's going to have a harder time integrating with the team. Still a decent performance as he was very involved. Dani Carvajal still seems to be struggling and it's getting a bit concerning out there. Let's see what happens in Germany, where Modric and Bale should be back in the lineup. Attackers: Lucas Vázquez, Asensio, Cristiano Ronaldo. Cristiano Ronaldo next game is for Real Madrid on September 26 of 2017 against Borussia Dortmund. You can watch Juventus live stream, Borussia Dortmund vs Real Madrid, Girona vs Barça, Manchester City vs Shakhtar Donetsk, Arsenal vs WBA, and Spartak Moscow vs Liverpool, all matches provided from our football live game pages.